Anthony J. Rapino and Precipice Books are bringing you a whole world that is mapped out in an intimately horrific landscape. Together, the two are offering a unique package of horror fiction from the mind of Mr. Anthony J. Rapino in a limited hardcover edition of “Greetings from Moon Hill” that will be signed and numbered. 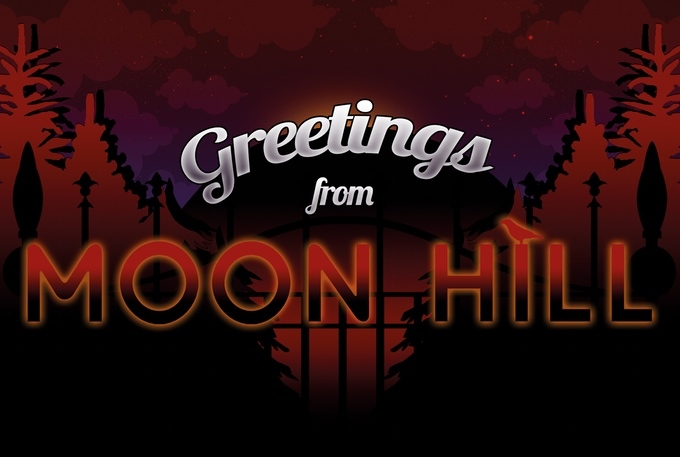 “Somewhere in Northeastern Pennsylvania, nestled between the forests and foothills of the Poconos, you’ll find the forgotten town of Moon Hill. It’s a surreal place of arcane magic and natural wonder, where a hint of autumn lingers in the air, the leaves are always turning, and the shadows grow long no matter the time of day. The Kickstarter campaign includes some great add-ons including a print map of Moon Hill, sculptures (created by the author himself), and a vial of Moon Hill stones (They glow in the dark!). When the stretch goals are met, you find they’ll also be adding everything from T-shirts and “bloody” variants of the Moon Hill sculptures to an extra story and magnets. To check out more details and make up your mind on whether it would be something you’d be interested in backing, click here. Best wishes on your project, guys!